In 2012, when the Commonwealth Government adopted its highly controversial Murray–Darling Basin Plan, it openly acknowledged that it would never recover sufficient environmental water to meet its major objective—to protect, restore and provide for the ecological values and ecosystem services of the Murray–Darling Basin. Less than five years on, further compromise is on the cards. In its Northern Basin Review, the Murray–Darling Basin Authority has recommended an 18 per cent reduction in the amount of water recovered for the environment in catchments across northern parts of the Basin, in southern Queensland and northern New South Wales. 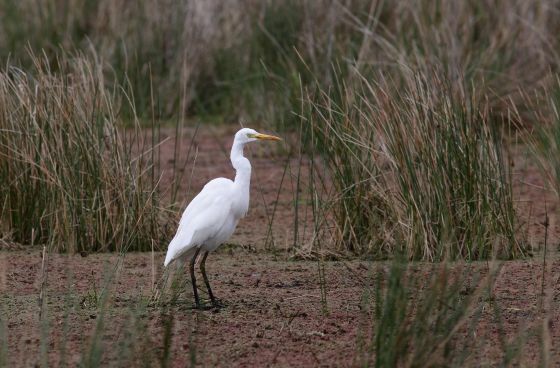 This proposal will impact on some of the most significant sites for waterbirds in eastern Australia, including the Macquarie Marshes, Gwydir Wetlands and Narran Lakes, with flow-on effects for the Menindee Lakes as well as the Lower Lakes and Coorong. At risk is important breeding habitat for the Endangered Australasian Bittern and internationally important populations of the Straw-necked Ibis, Nankeen Night-Heron, Australian White Ibis and Intermediate Egret. BirdLife Australia’s submission opposes any reduction in environmental water, arguing that more water, not less, is required to recover the health of these ‘jewels in the crown’ of this iconic river system. This entry was posted in 2017, International, X and tagged human impact on 28 Feb, 2017 by Birdlife20 owner. BirdLife Malta insists that there is no scientific justification for a spring hunting season for 2017. Today the Government announced the 2017 spring hunting season which will this year be open only for Quail since there is a moratorium on hunting for Turtle Doves. The Parliamentary Secretariat for Agriculture, Fisheries and Animal Rights has chosen to take on board all recommendations made by the Ornis Committee on 1st February, and the season will be open between Saturday 25th March and Friday 14th April between two hours before sunrise and noon. The national hunting bag limit has been set at 5,000 Quail and hunters are not to exceed the daily bag limit of five Quails and the seasonal bag limit of ten Quails per hunter. As stated when the Ornis Committee recommendation was made, BirdLife Malta reiterates that there is no justification for a spring hunting season as studies commissioned and paid for by the government itself show that in autumn there is a sufficient passage of Quails during the first two months of the hunting season. Over and above this, the conservation value that birds migrating north to their breeding grounds should not be killed remains at the forefront of this position. It is a pity that once again political promises have been given priority over these scientific facts and important conservation value which both prove why a spring hunting season for Quail is not justified. BirdLife Malta’s vote during the Ornis meeting held on the 1st of February was the only one against a spring hunting season for 2017. The Federation for Hunting and Conservation (FKNK), the Environment and Resources Authority (ERA), and the two independent government-chosen representatives along with the Ornis Committee Chairman all voted in favour. This entry was posted in 2017, International, X and tagged human impact, migration on 28 Feb, 2017 by Birdlife20 owner. Some 43 experts from 22 countries have met in Toledo, Spain, to draw up a strategy to save the world’s heavily threatened vulture species. The meeting was part of preparations for the forthcoming summit of the Convention on the Conservation of Migratory Species. Based on previous consultations and workshops that include the findings of 200 experts, the group in Toledo has expressed their deep concerns about the continued veterinary use of diclofenac, a deadly drug when consumed by vultures, and designed a 12-year action plan which aims to ensure the conservation of all vulture species. There are 23 vulture species in the world and 16 of them are globally threatened: four Asian species and four African are critically endangered. The conservation of vultures will play a prominent role in the forthcoming summit of the Convention on the Conservation of Migratory Species (CMS) that will be held in October 2017 in the Philippines. The meeting in Toledo is the result of a process involving 200 experts from Africa, Europe, Asia and the Middle East. Thanks to these previous findings, the participants in Toledo could agree to propose the inclusion of 10 species of African and Asian vultures in Appendix 1 of the Convention on Migratory Species, also known as Bonn Convention, which highlights the true threat level of these birds and reflects their real conservation needs at global level. The species in the highest threat category are Red-headed, White-rumped, Indian and Slender-billed Vultures in Asia and Rüppell’s, White-headed, White-backed and Hooded Vultures in Africa. The proposed action plan includes more than 100 actions to address the main threats to vulture populations, including a ban on the use of toxic products that affect vultures – including poisoned baits – and the phasing out of lead ammunition. This entry was posted in 2017, International, X and tagged human impact, threatened on 28 Feb, 2017 by Birdlife20 owner. Across the desert regions of the southwestern United States southward into central Mexico, a feisty little bird thrives. The sight and scolding sounds of the cactus wren, Campylorhynchus brunneicapillus, is a daily occurrence for all who live among them in these large desert regions of North America. The cactus wren is the largest wren in North America, growing to be 7-9 inches (17-23 centimeters) long and weighing from 1-3 ounces (28-85 grams). Banded cactus wrens have been shown to live upwards of 6 years. Cactus wrens have a distinctive white eye stripe above and behind each eye. Its breast is heavily spotted with shades of brown, black and sometimes a hint of orange. Its wings and long tail are barred with white, black and brown feathers. The bird’s beak is slightly curved. Cactus wrens are desert dwellers and live in and among the forests of cacti found across this region. The sharp spines of the many species of cholla cacti are among its favorite, because the woody interior of the cholla cacti is strong enough to support the bird and its large nests. Forests of cholla, anything-but-soft Teddy Bear cholla (Cylindropuntia bigelovii), are common across the desert regions of California, Nevada, Arizona, New Mexico, western Texas and the desert regions of western and central Mexico. Where you find a cholla forest you are sure to find the cactus wren. The female cactus wren will select the nesting site among the cholla or within thick desert scrub and trees. The birds will even nest in an abandoned woodpecker “boot” found within a giant saguaro cactus (Carnegiea gigantea). Males help build the large football-shaped nest from local grasses with the interior lined with soft feathers. The side entrance helps protect the young from local predators. This entry was posted in 2017, International, X on 28 Feb, 2017 by Birdlife20 owner. Around the world, no matter where we are, we can usually expect the weather to change from one season to the next. In North America, the warm days of summer eventually turn into the cooler days of autumn, and these changes are vital to a lot of the animals that inhabit the region as they trigger the urge of animals to prepare for winter. Migratory animals, like songbirds, use these predictable weather changes as environmental cues to tell them when it’s time to migrate south. But with the earth now becoming warmer each year, birds can no longer rely on the once predictable climate. As autumns are becoming milder, ornithologists keep pondering on how it could be affecting birds’ migratory decisions. Now, a new study just published by De Gruyter’s online journal Animal Migration, has experimentally investigated how birds use temperature as a signal to migrate. The study led by Adrienne Berchtold from the Advanced Facility for Avian Research at the University of Western Ontario, focused on one songbird species that is known to rely on weather for its migratory journey: the white-throated sparrow. The bird migrates from Canada to the southern United States each autumn, and it tends to migrate later in the autumn than other migrants, basing its journeys on when the weather provides opportunities for flight. To figure out the underlying pressures that drive the birds to migrate, the researchers captured white-throated sparrows during one autumn migration and placed them in specially-designed bird cages equipped with high-tech monitoring gear that kept track of how active the birds were by day and night. The scientists then changed the room temperature throughout the experiment to see how the birds would react. When the temperature dropped to chilly 4ºC, in an attempt to mimic the typical fall conditions in the northern part of the flyway, the birds all became restless at night, signifying they were in a migratory state. When, in turn, the temperature was raised to a warm 24ºC, none of the birds showed signs of migratory restlessness, indicating they were under no pressure to depart in these conditions. These results will have considerable implications for the future of the migration as this and other bird species rely on predictable weather changes to leave home for the season. In North America, the continuous trend in soaring autumn temperatures could delay the birds migration. Yet another more drastic possibility is that the birds would decide, perhaps unsurprisingly, to stay put and not to migrate at all. In fact, a recent paper in this same journal found this very pattern is happening in the population of American Robins of North America, who are increasingly deciding not to migrate. According to Andrew Farnsworth, a Research Associate at the Cornell Lab of Ornithology who studies bird migration, “This type of research gives us more of the clues that scientists need to understand how birds respond, and might respond in the future, to changes in environmental conditions they experience. Considering these findings in light of previous research on nocturnal migratory restlessness from the mid to late 20th century, and more importantly, recent research on fuel accumulation and photoperiodicity, these results add to our growing understanding of how birds migrate and even how their migration evolved. Furthermore, given the predicted changes in global temperatures from human activities, these findings highlight the potential for dramatic changes to movements for many migratory species. This entry was posted in 2017, International, X and tagged Climate change, songbirds, study on 28 Feb, 2017 by Birdlife20 owner. Stormy times for tiny seabird? When we think of seabirds, it’s usually the biggest that spring to mind—usually albatrosses and the like. Accordingly, they seem to dominate the news when it comes to conservation concerns. However, not all seabirds are big; indeed, some are quite the opposite. The storm-petrels are the smallest of the world’s seabirds, and they usually fly under the radar. The White-faced Storm-Petrel is the only storm-petrel that breeds on nearshore islands around the Australian coastline, and the only of them to breed anywhere near one of our capital cities. One such colony exists on Mud Island, at the southern end of Port Phillip Bay. However, not all is well. In the 1950s, the breeding population of these birds on Mud Island was estimated at up to 10,000 pairs, but since then the numbers have dropped off steadily. By the 1984, the numbers had declined by around 90 per cent, with around 1000 pairs present. Apart from occasional flurries of interest, little work has been done on the Mud Island colony since. In February, a team from BirdLife Australia visited Mud Island to monitor a small Fairy Tern colony, but they also visited the White-faced Storm-Petrel, on the other side of the island. What they saw shocked them. Although it was far from a comprehensive survey, only a handful of nesting burrows could be found, and although the timing of the visit was several weeks before the chicks were due to fledge, only one chick could be found in its burrow. The site of the colony is known as ‘the runway’, which suggests that in the past it was an open area with low and sparse vegetation. That is not the situation any more. The runway is now the site of a substantial colony of Australian White Ibis and Silver Gulls, whose nests cover much of the landscape. Feeding at nearby rubbish tips, the gulls and ibis have taken full advantage of city living, and are flourishing. With the establishment of the ibis and gull colonies, the vegetation of the runway has changed. Now, fertilised by so many birds’ copious droppings, the soil is more fertile than ever before and this has allowed shrubby weeds to become established. The site is now overgrown with them, making the area less than ideal for nesting seabirds, severely restricting their access to burrows and preventing them from taking off. It’s no wonder the colony has shrunk. 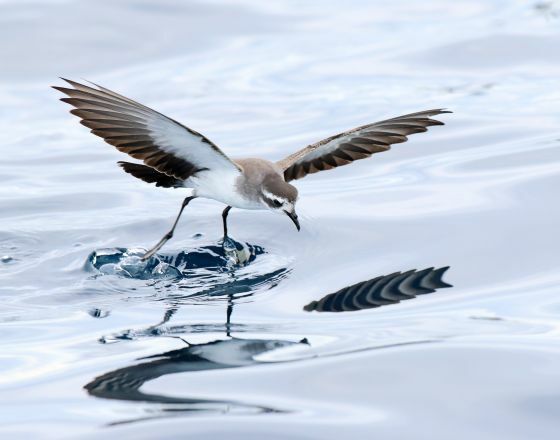 The IUCN lists the White-faced Storm-Petrel’s conservation status as Least Concern, and it’s estimated that the world population comprises 4 million birds, so the decline of a small colony in Port Phillip Bay will have little impact on the overall scheme of things. Nevertheless, a breeding colony of these diminutive birds almost within sight of one of Australia’s biggest cities should be regarded as a natural treasure. Instead, it seems to have been all but forgotten. This entry was posted in 2017, International, X and tagged seabirds on 26 Feb, 2017 by Birdlife20 owner.